Can your television set off your motion detector? In short, no — but understanding why it won’t, and how your motion detector works, may be critical for securing your property. Motion detectors don’t work the way that the human eye does when dealing with "motion"; instead, they use signals like radar waves to detect the placement of objects in a room. A motion detector sends off a signal, just like radar, to digitally map the room. This signal tells it where all the objects are in the room, by telling it how long it takes each signal to come back. A signal bouncing off a couch 3 feet away is going to be stronger than a signal bouncing off a wall 3 feet away. In the case of radar-based, arrays of microwave radio energy or ultrasonic sound waves are used. The patterns of wave energy reflect in the same pattern, but once the pattern is disturbed by someone entering the field, the sensor is triggered. For a security monitoring system, the sensor will send an alarm signal. When these signals are altered, the motion detector sends off an alarm, because it knows something in the room must have moved. These signals are sent at intervals, so it is possible for someone to move quickly enough that it is not detected. But if something is simply moving at a relative pace through your home, it will be caught. This functions regardless of light and shadow. Will a TV Set Off a Motion Detector? Now that we know how a motion detector works, we can explain why it won’t give a false alarm for a television. In the motion detector’s perception, the television is not moving at all. 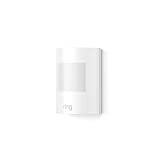 The motion detector only detects the movement of physical objects, not changes in light, or even sound. 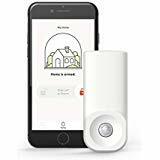 It’s easy to understand why: if a motion detector could detect a television, it could also detect a sunbeam working its way across the floor, or shadows from windows. Motion detectors simply cannot react this way. 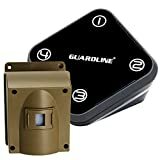 But why do many homeowners suspect that their television is setting off their motion detector? Motion detectors, in general, have a lot of false positives. Most of these false positives are due to homeowners not understanding how they work. But some of them are from old technology; newer motion sensing technology is much better. What Actually Causes False Alarms? Doors, window treatments, and shutters could be moving within the home. If you have a drafty house or if your HVAC system unexpectedly kicks in, this could become a problem. You could have pets inside of your home. Even the smallest cat can set off a motion detector if the detector isn’t appropriately calibrated. Pet friendly detectors can ignore these problems. Bugs or cobwebs could be up close to the detector. The detector may be set off by something that is moving extremely close to its detection system. Heat from an HVAC system could set it off. If you have a powerful furnace, the gust of heat could trigger it, as some motion detectors do work by identifying sources of heat. The batteries could be going. If your motion detector isn’t hard-wired, one of the first troubleshooting attempts should be to replace the battery. So what should you do if your motion detector is giving out false positives? Be aware that it’s probably not any of the technology inside of your house, but rather something that’s moving in your home that you aren’t aware of. For more information about appropriately placing and calibrating your detectors, contact the experts at Protect America.